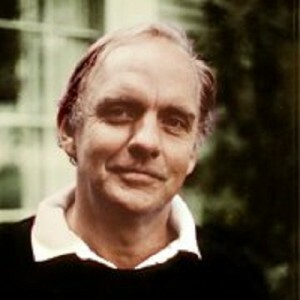 Frederick Buechner (pronounced BEEK-ner) is an American writer and theologian. He is the author of thirty-eight published books and has been an important source of inspiration and learning for many readers. His work encompasses many genres, including fiction, autobiography, essays, sermons, and other nonfiction. Buechner’s books have been translated into twenty-seven languages for publication around the world. Buechner’s writing has often been praised for its ability to inspire readers to see the grace in their daily lives. Buechner has been called a “major talent” by the New York Times, and “one of our most original storytellers” by USA Today. Annie Dillard (Pulitzer Prize-winning author of Pilgrim at Tinker Creek) says: “Frederick Buechner is one of our finest writers.” As stated in the London Free Press, “He is one of our great novelists because he is one of our finest religious writers.” He has been a finalist for the Pulitzer Prize and the National Book Award, and has been awarded eight honorary degrees from such institutions as Yale University and the Virginia Theological Seminary. In addition, Buechner has been the recipient of the O. Henry Award, the Rosenthal Award, the Christianity and Literature Belles Lettres Prize, and has been recognized by the American Academy and Institute of Arts and Letters. Released in 2016, Buechner 101, introduces Buechner to a new generation of readers and was choreographed by Anne Lamott. Buechner’s two most recent books, released in October 2017 by Zondervan, are A Crazy Holy Grace: The Healing Power of Pain and Memory and The Remarkable Ordinary: Hope to Stop, Look, and Listen to Life.